You've probably seen this tag around, it's everywhere. I've definitely been seeing it everywhere for years and I can't say I've been happy about it. 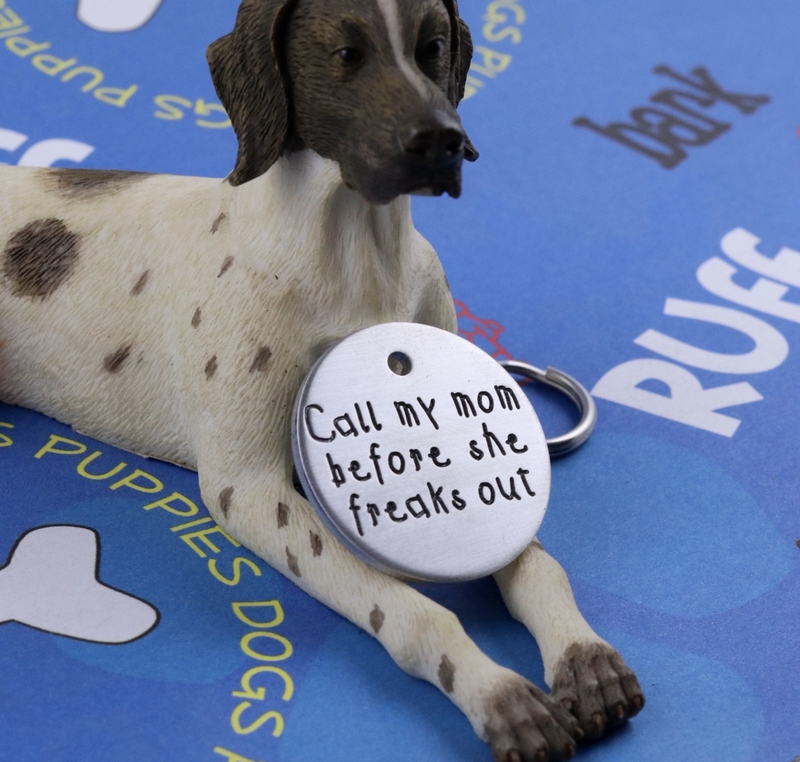 It may be hard to believe now with how common it is, but Critter Bling was the first and original "have your people call my people" pet tag. What to feed, that is the question. Over the years we've fed many different types of food for our dogs. When I was growing up my parents fed Kal Kan canned food to our dogs plus table scraps of all sorts. No one worried about whether the chicken bones, pork chop bones, or steak bones were cooked or raw (in fact we would have been appalled at the idea of feeding them raw). This went on for my whole childhood and never had any issues whatsoever. I'm definitely not advocating this, it's just an interesting fact. 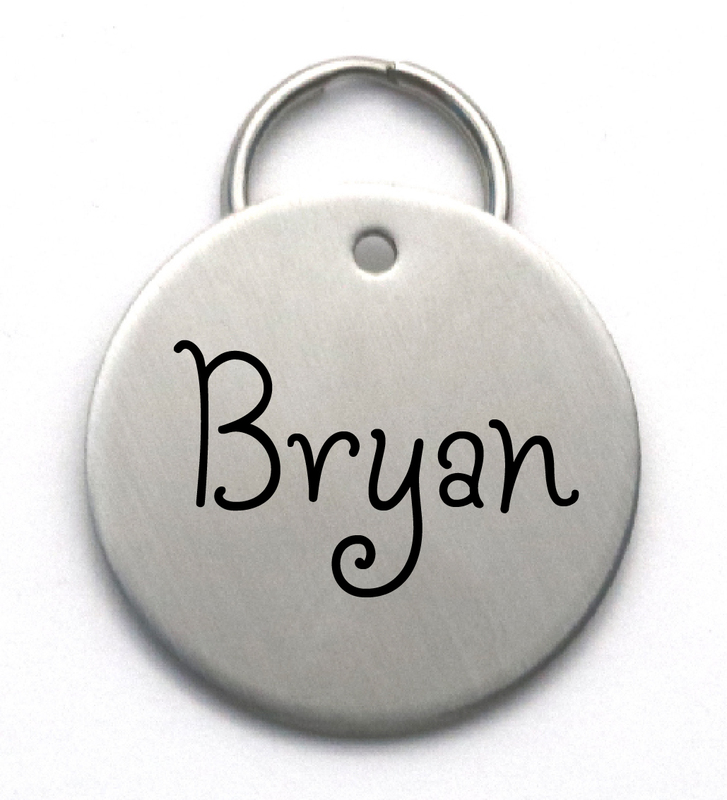 Just listed this really cute new name tag, check it out, it is perfect for the pet who just wants a simple clear name tag with no pictures or other distractions. You can have two or even three phone numbers engraved on back. This is a very high quality stainless steel so it will last many years. Any questions please feel free to contact me! Here is a fun new design for Christmas, naughty is the new nice! Hurry and order while there is still plenty of time before Christmas. If you have any custom order requests feel free to message me. One of my dear customers requested this phrase in a different font, I thought it turned out really cute.